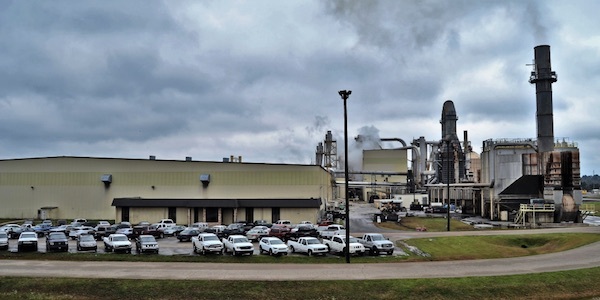 Springfield, Ore. – Roseburg Forest Products and PotlatchDeltic Corporation have completed the previously announced purchase and sale of the assets of the PotlatchDeltic subsidiary Del-Tin Fiber LLC, including its medium density fiberboard (MDF) plant located in El Dorado, Ark. El Dorado MDF is Roseburg’s third MDF plant purchase in the past four years. The company acquired Pembroke MDF in eastern Ontario, Canada, in early 2018, and an MDF plant in Medford, Ore., in 2015. “We believe this deal is a win for all parties. The El Dorado MDF employees are a dedicated group and Roseburg is a world-class MDF producer. PotlatchDeltic will give full focus to the two sawmills and half a million acres of excellent timberland acquired in the 2018 merger of Potlatch and Deltic,” said Mike Covey, CEO for PotlatchDeltic.